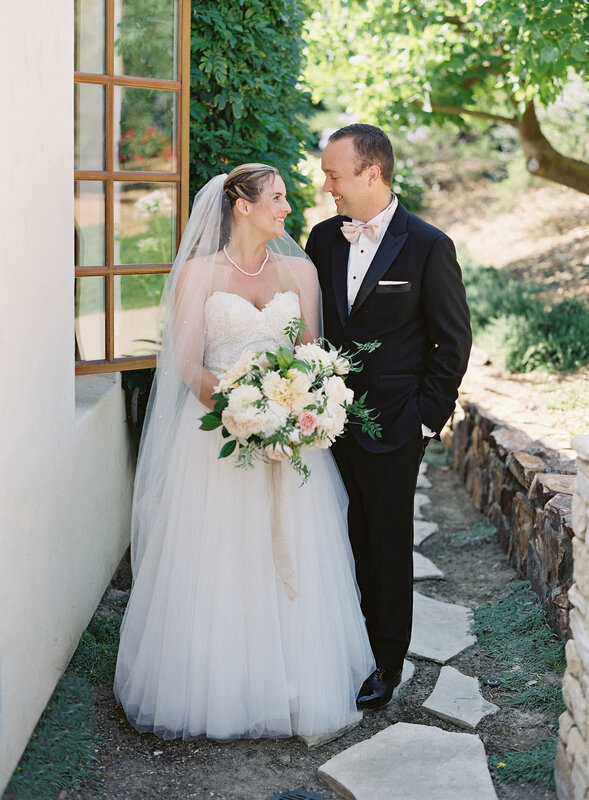 Surrounded by family and friends, Hannah and Braden said “I do” in her parent’s beautiful Rancho Santa Fe backyard. 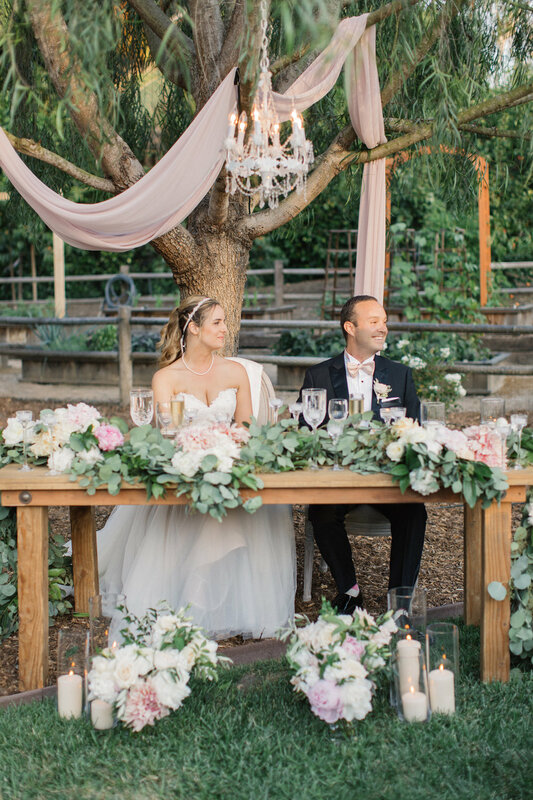 This charming couple gave a new meaning to backyard weddings which turned into a stunning private affair with florals provided by Organic Flora. Photographer, Kristina Adams, was able to capture the magical moments that were shared with their supportive and loving family and friends. 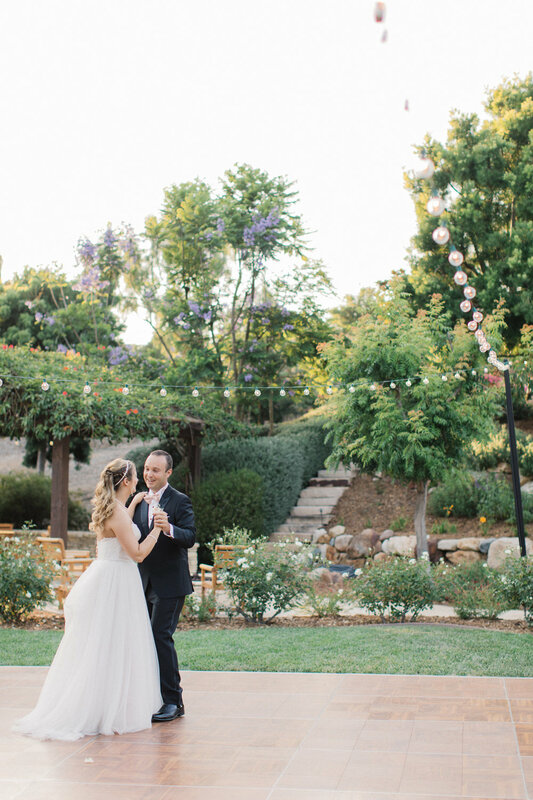 The backyard proved to be the perfect backdrop for an intimate ceremony and reception. 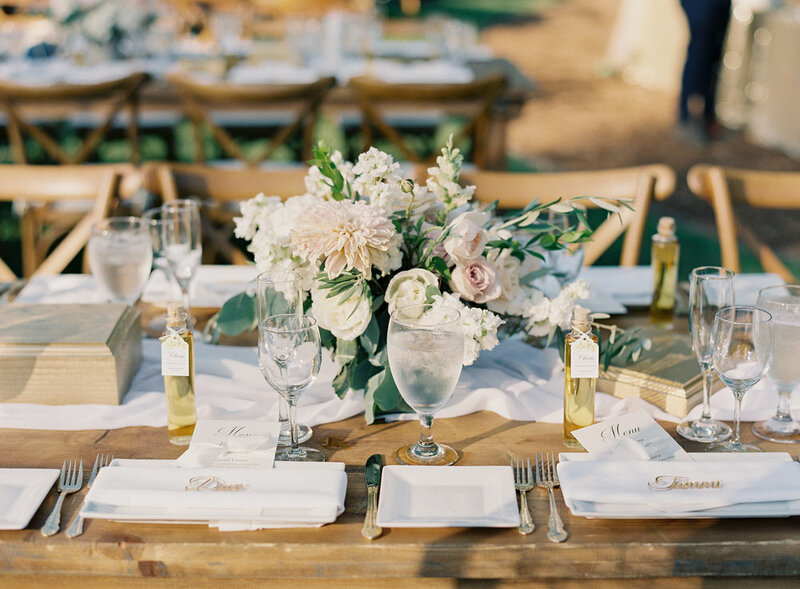 Not a detail was missed at this gorgeous wedding where garden romance met classy at every moment. 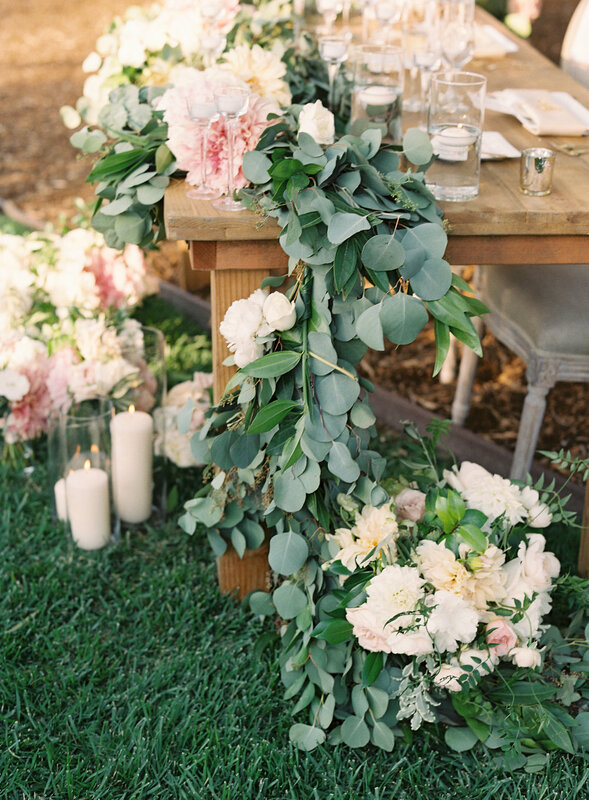 With soft blush colors in the floral arrangements, mixed with gold accents, each detail was allowed to shine. 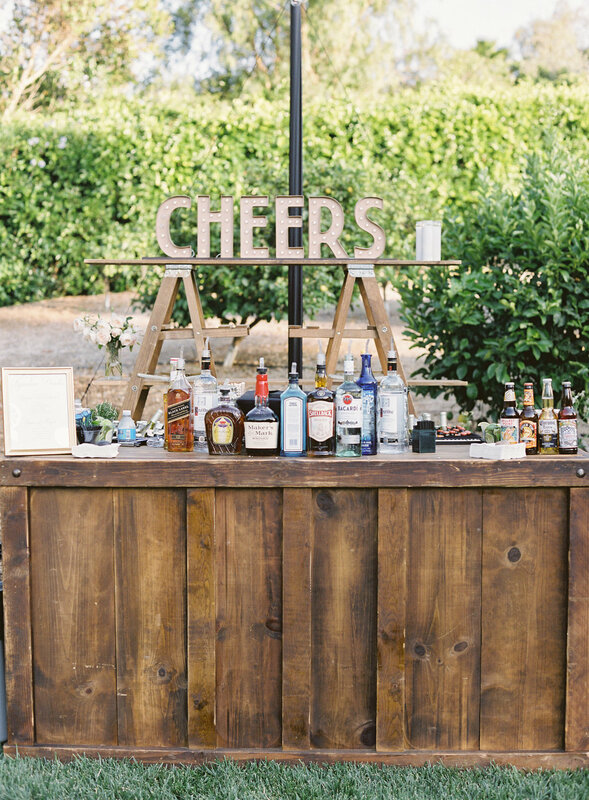 The bride and groom also had a "man cave" at their reception that included an overlarge leather couch and full scotch and cigar bar for their guests to sip and enjoy. 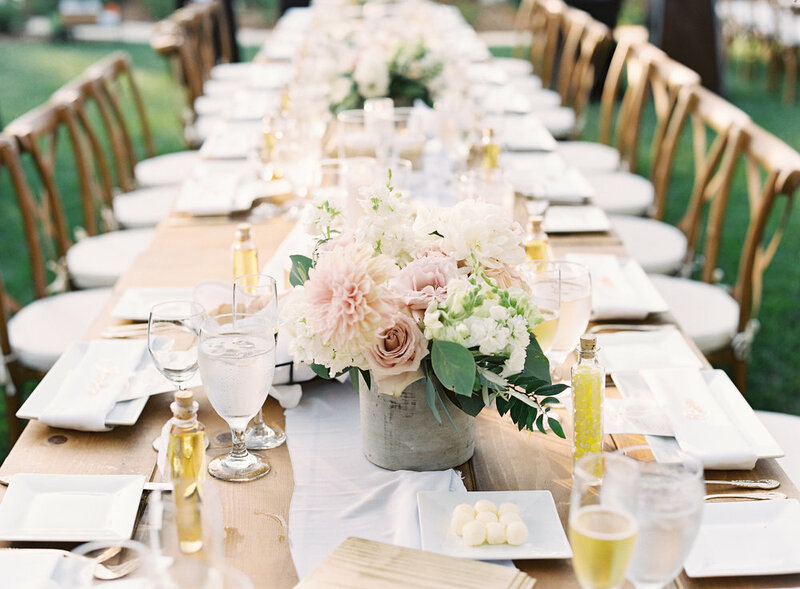 With hints of gold in the decor details, we were sure to see the sparkles throughout the night, but; the best sparkles were those in the newlyweds’ eyes. The night ended in true brilliance with the bride and groom’s send-off in a vintage Rolls Royce under the sparklers of their guests.